Former Presidential Assistant for Economic Affairs, Jose Alejandrino, recently shared his opinion on the murd*rs of Tanauan City Mayor Antonio Halili and Gen Tinio, Nueva Ecija Mayor Ferdinand Bote. Through a post that recently went viral, Alejandrino made some connections between the deaths and some group. Alejandrino recounts how Halili was a member of the Liberal Party (LP) during the 2016 elections. However, when Duterte won the presidency, he switched over to PDP-Laban and supported now President Rodrigo Duterte. He continues on to say that when Halili ran for Mayor, his opponent was a retired PNP general, whom Alejandrino alleges has links to the LP. He calls on an investigation on this, seem to hint that it could be potential motive for the kill. Another thing Alejandrino shared about Halili is addressing the issue of the latter being in Duterte’s drug list. Alejandrino says that this list of Duterte most likely was made when Halili was still a member of the LP, thus having his name on it. However, Alejandrino says that when Halili switched to support Duterte, he became known to condemn drugs and crime. Alejandrino alleges that the answer to Halili’s de*th can be found if his running opponent is thoroughly investigated. Continuing on his theory, he says that it was clear that the sniper that shot Halili was very well trained. He says that it could have been a rogue cop or a member of the New People’s Army. Either way, Alejandrino established a connection. He says that if it was a rogue cop, then it would not be that hard to find a connection to the retired PNP General. If it was an NPA member, he said that the rebels have a connection with the LP and druglords. For the case of Bote, however, Alejandrino says that he had no enemies while under the People’s Reform Party. Bote then transferred to PDP Laban, much like Halili. According to Alejandrino, after Bote was murder*d, Vice Mayor Melvin Pascual assumed his position. He notes that Pascual is a member of the LP. Concluding his statement, Alejandrino says that it seemed like the LP benefitted from it. Alejandrino calls on the PNP to do a thorough investigation so the truth may be known. “Antonio Halili, mayor of Tanauan, Batangas was k*lled by a single shot on left chest from a sniper rifle. 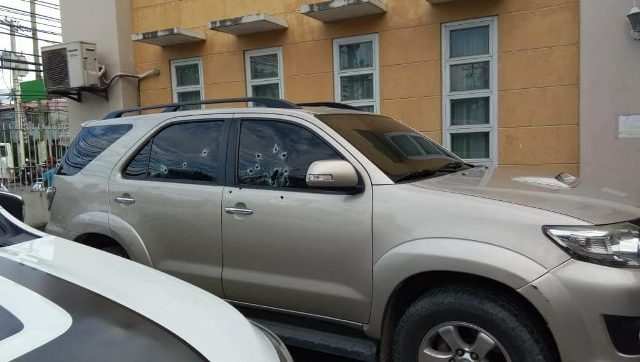 Shortly after, Ferdinand Bote, mayor of Gen. Tinio, Nueva Ecija was killed by motorcycle-riding gunmen. Eighteen bullet cases were recovered at the crime scene. Halili, in a video interview posted on fb by Odette Dequito-Javier, said he was a member of the LP during the presidential campaign but later declared for Duterte. His opponent was a retired PNP general - most likely with links to the LP and this has to be investigated. Halili was reportedly on the Duterte drug list. The link to drugs could have been made when Halili was in the LP which was known to have links with druglords. But when he shifted to Duterte, Halili became known for his anti-crime crusade and the public shaming of criminals. Who could have had a motive for eliminating Halili? The answer is likely to be found by investigating thoroughly his political rival - a former PNP general and his connection, if any, to the LP and druglords. One thing for sure. The sniper was a trained professional, either a rogue cop or a NPA given the unholy alliance between liberals, leftists, and druglords. 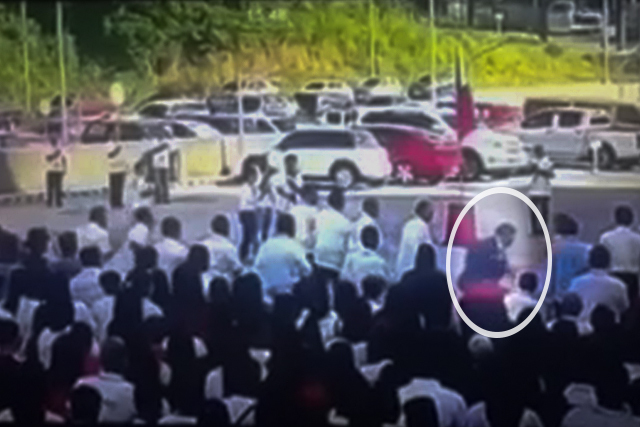 If the sniper turns out to be a rogue cop, the connection to a retired PNP general won't be difficult to establish. Bote was elected mayor in the 2016 elections under the People's Reform Party. He reportedly had no enemies. Koko Pimentel claims Bote later joined the PDP-Laban. With his killing, vice-mayor Melvin Pascual has taken over as mayor of Gen. Tinio. He is a member of the LP. I ask myself, which political party benefited from Bote's assassination? Certainly not Duterte. Again, given the unholy alliance between liberals and leftists, it is likely the gunmen were hired NPAs. 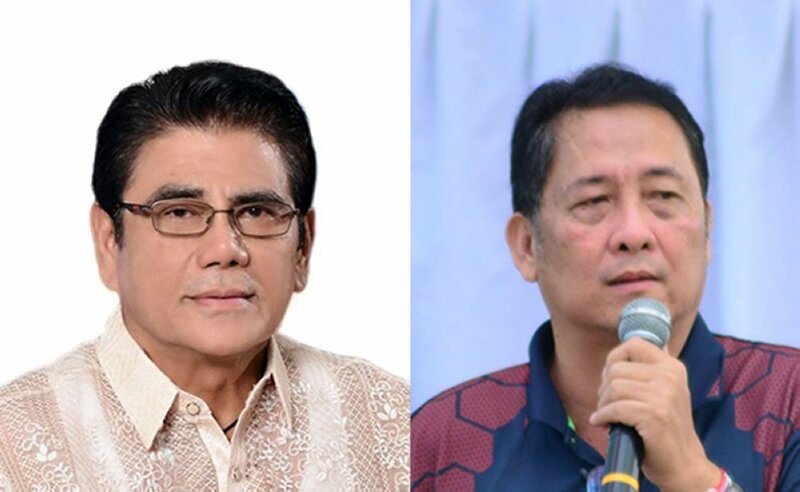 If the lead to Halili's killer turns out to be the rival of Halili and is associated with LP and if the lead to Bote's killers turn out to be NPAs, then we are looking at a very conspiracy to eliminate mayors and place the blame on Duterte.